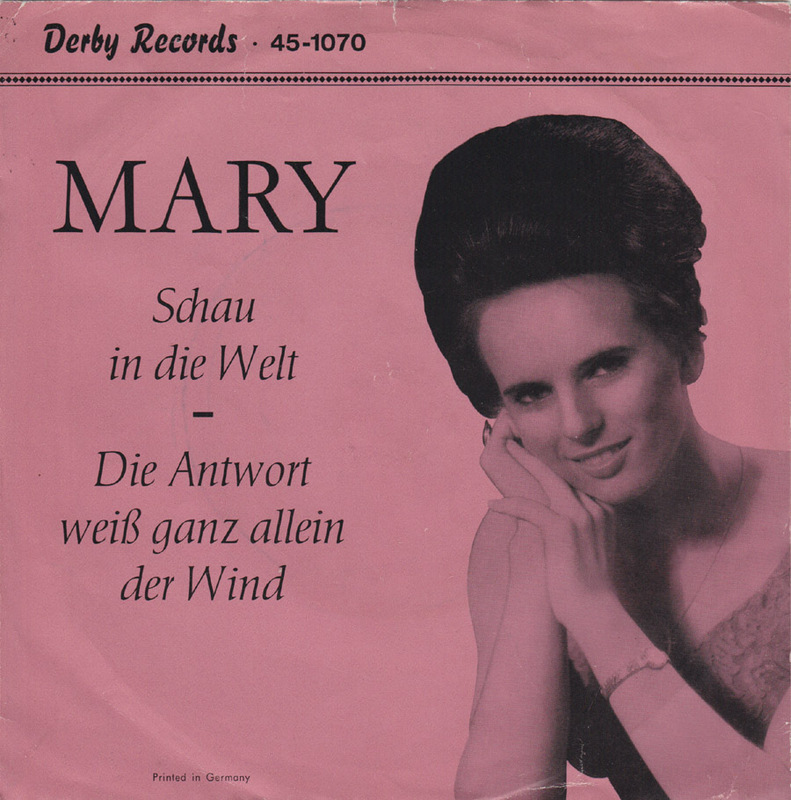 Mary and her backing band the Moonlights were another obscure Berlin outfit that recorded a handful of records. Still, right now I can´t find any information about them. 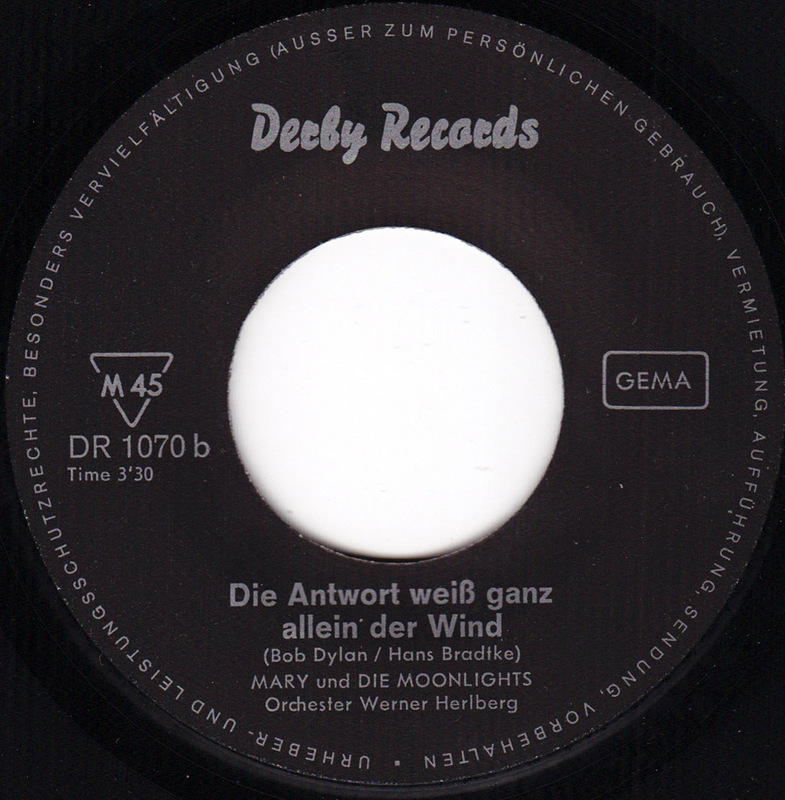 “Die Antwort weiß ganz allein der Wind” , a cover of Blowin´in the Wind was a hit for Marlene Dietrich in 1964. Hans Bradtke, who wrote the German lyrics to “Die Antwort weiß ganz allein der Wind” was a song writer, illustrator and cartoonist.